Parental guilt time. 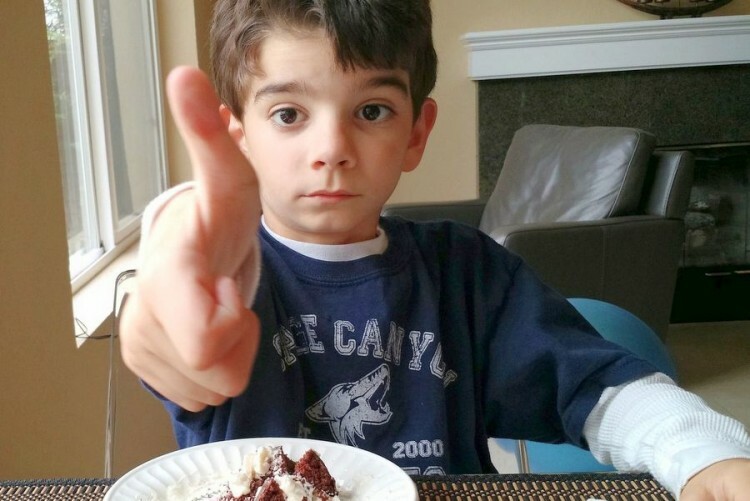 The other day I unwittingly sent my 7-year-old autistic son to school with the beginnings of a stomach flu. I am fortunate in that he is verbal and did tell me his tummy hurt when we arrived at the drop-off gate that morning. But when I pressed for details, he struggled to indicate he had to use the bathroom. OK, this was doable. I hurried him through the gate, explained the situation to the classroom aide and off he went just as the bell was sounding the beginning of the school day. In my mind, the problem was solved, so I didnâ€™t give it a second thought. A short time later when the school nurse called to report heâ€™d vomited all over the science lab, the guilt came rushing in. Heâ€™d obviously been feeling worse than simply needing a potty break but was incapable of telling me. Instead, he soldiered through his daily schedule as best he could until, well, he couldnâ€™t. How had I missed this? Iâ€™m certainly no stranger to playing detective and trying to decipher things he says. I couldnâ€™t help but feel I totally blew it in the mommy department. 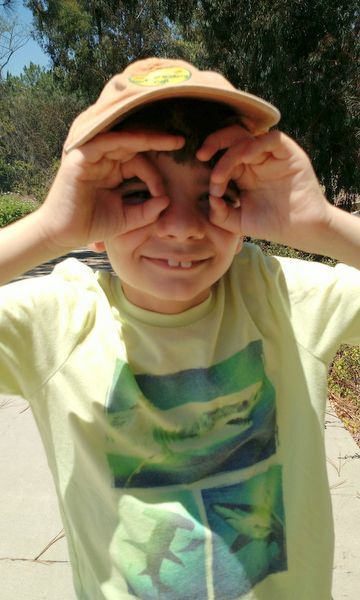 While my son has made some amazing strides in the ability to express himself verbally, his autism makes it challenging for him to describe the depth of what or how heâ€™s feeling. Even just initiating communication in general has been, and continues to be, an uphill climb. Considering that, I guess Iâ€™m lucky he was able to tell me about his tummy ache that day in the first place. But as usual, my tendency to torture myself with the clarity of 20/20 hindsight rears its ugly head: I should have taken a moment to pause and observe him more closely and perhaps then I would have picked up on the fact it was more than just him needing to use the bathroom. Shoulda, coulda, woulda. In the midst of the morning rush to get to school, I took him at his (limited) word. Before I beat myself up too much, I must remember these moments of guilt and frustration serve as my reality checks. They do not define the bigger picture. As much as Iâ€™d like to, I will never â€” nor will any parent â€” be some kind of all-knowing, mind-reading superhero. When it comes right down to it, weâ€™re all winging it as best we can, special needs parent or not. We will inevitably make mistakes along the way. Thatâ€™s just life. The fact of the matter is, while the nuances of verbal communication remain elusive, my son is improving. His progress from a completely nonverbal 3-year-old to where he is now still utterly boggles my mind. Slowly but surely, heâ€™s gaining skills and coping techniques to help navigate a world, which often makes little sense to him. When youâ€™re the parent of a child with autism, itâ€™s so very easy to put this tremendous pressure on yourself to be some kind of caregiver extraordinaire. We transform into these hyper-vigilant mama and papa bears who become incredibly hard on ourselves, even in the face of an honest snafu. But â€” and believe me, I know this is easier said than done â€” we must resolve to take a step back and give ourselves permission to be human. Itâ€™s OK to take a breath, itâ€™s OK to not be able to think 1,000 steps ahead to avoid the unavoidable, itâ€™s OK to be wrong sometimes. Itâ€™s also overwhelming and stressful but not insurmountable. So until the my son reaches a point of being able to elaborate on his own, Iâ€™ll listen to what he says but also pause and remind myself to look â€” really look â€” at him for some inkling of any deeper meaning that might be bubbling just below the surface. However, on the flip side, often there are no hidden details to what heâ€™s telling me. And somewhere in the middle lies my challenge to discern the difference. In the meantime, Iâ€™ll try and forgive myself for the mistakes I know Iâ€™ll make. And when I have remembered to take that step back and breathe a moment, Iâ€™m struck by the larger perspective that keeps me ultimately grounded. Even with the challenges my son and I encounter as we navigate these uncharted waters, there is not a day that goes by Iâ€™m not truly thankful he is in my life â€” autism and all. Thatâ€™s what matters. Thatâ€™s my reality check. And so it goes.